Built from the ground-up for this non-profit organization, this website services over 1000 unique daily visitors. Extensive use was made of custom plugins for the listings of dogs for adoption, and full payment integration allows donations of all forms. 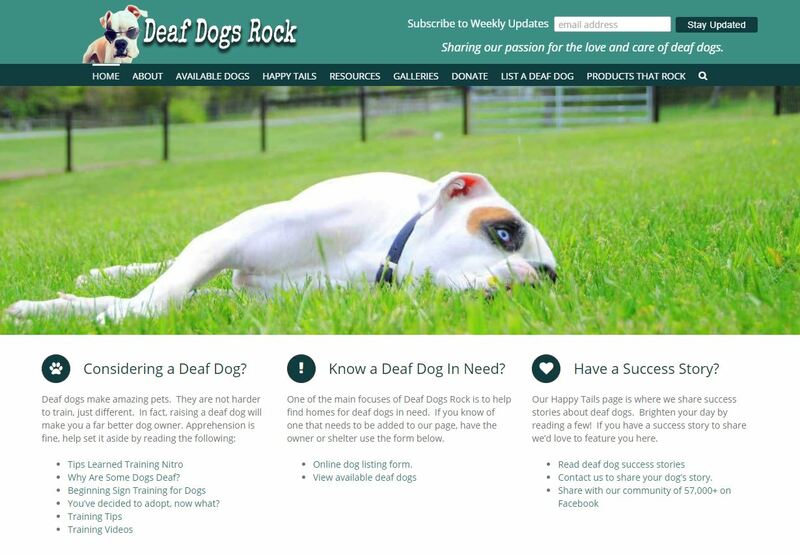 Non-profit organization devoted to helping deaf dogs and their families. I look forward to talking with your about your online presence needs and goals. You’ll find I provide a perfect combination of incorporating client ideas and design characteristics proven through years of experience.